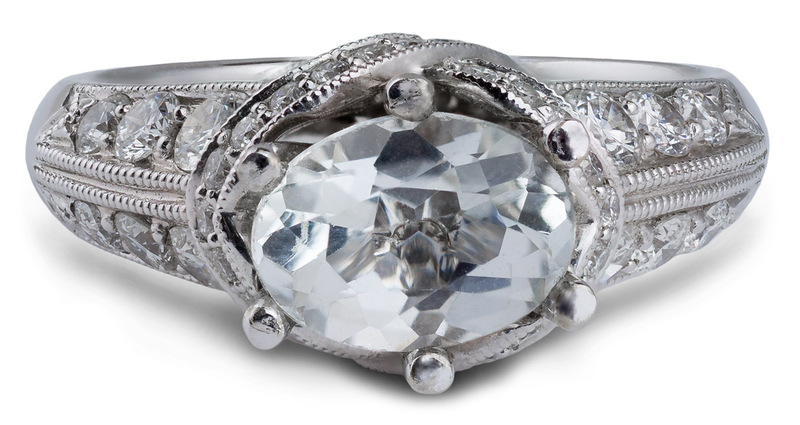 Two ribbons of diamond accents wrap around the base of the oval center stone, the ribbons crossing over each other at either side. 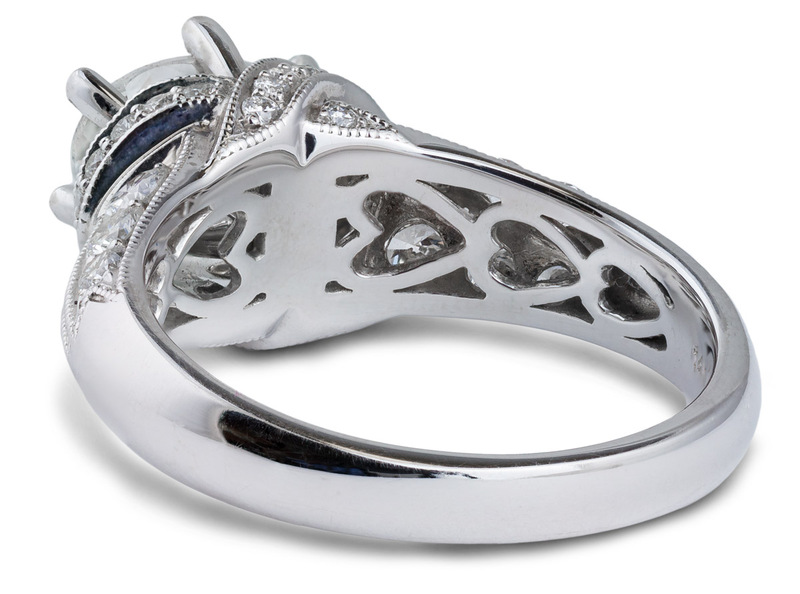 Additional diamonds descend half way down the sides of the ring. 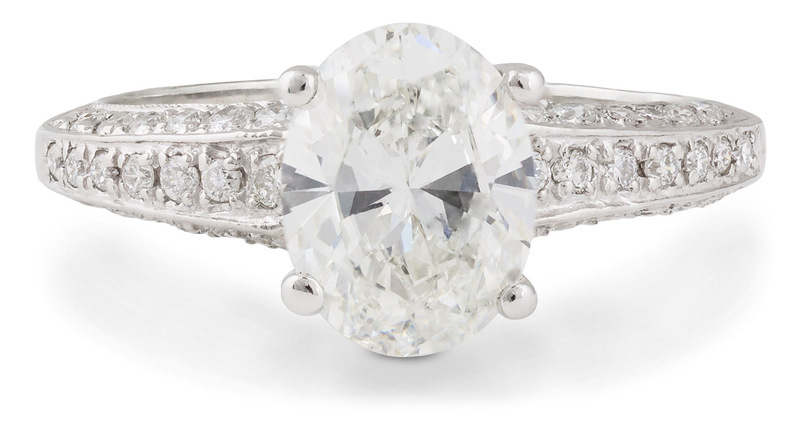 All of the glittering diamonds are accentuated by a subtle milgrain border, also adding a touch of graceful elegance to the ring’s bold design. 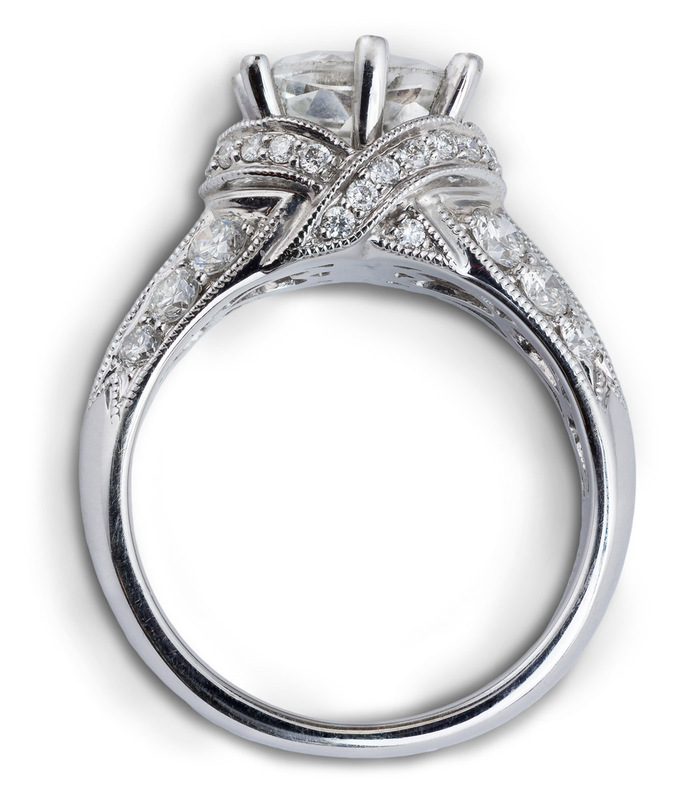 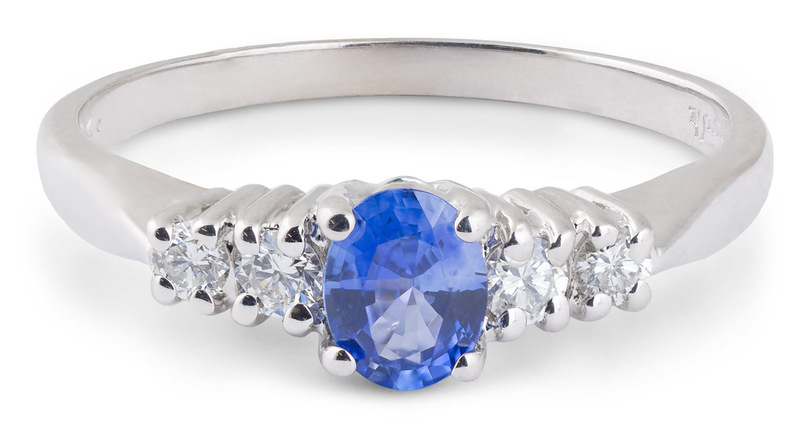 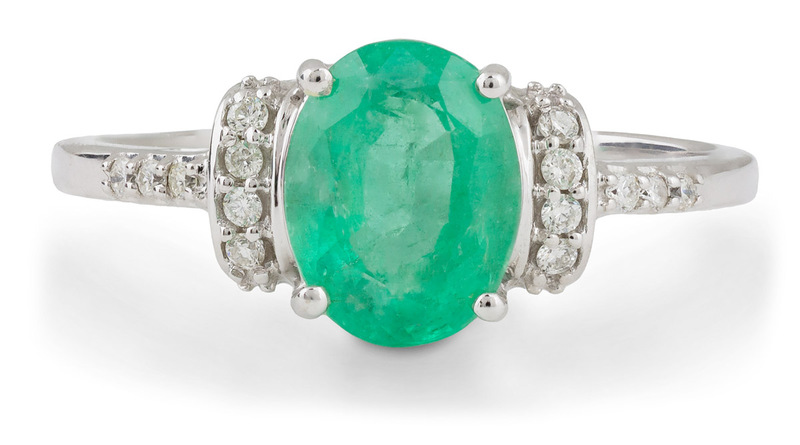 A beautiful engagement option for those looking to deviate from the traditional round center stone.